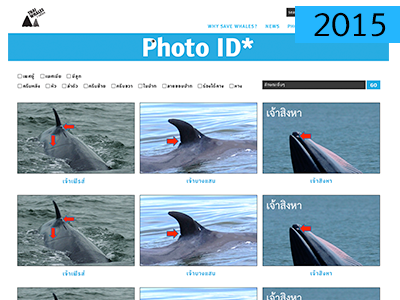 1) Knowledge Gathering : The developmental of the website which gathers all the information we can find on Thai whales, it’s environment, and all other animals that has any type of relationships with it. 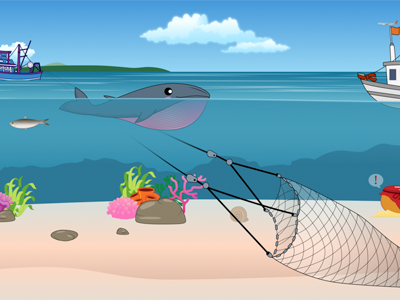 2) Media Creation : Creating medias that can interest the majority of the people, either inspiring them or showing them the consequences of their actions toward the ocean, we create both easily-digest media and information heavy media. We try to combine art and science together while developing new thought processes and simplify them into a tangible piece for the purpose of reaching the majority of the people. 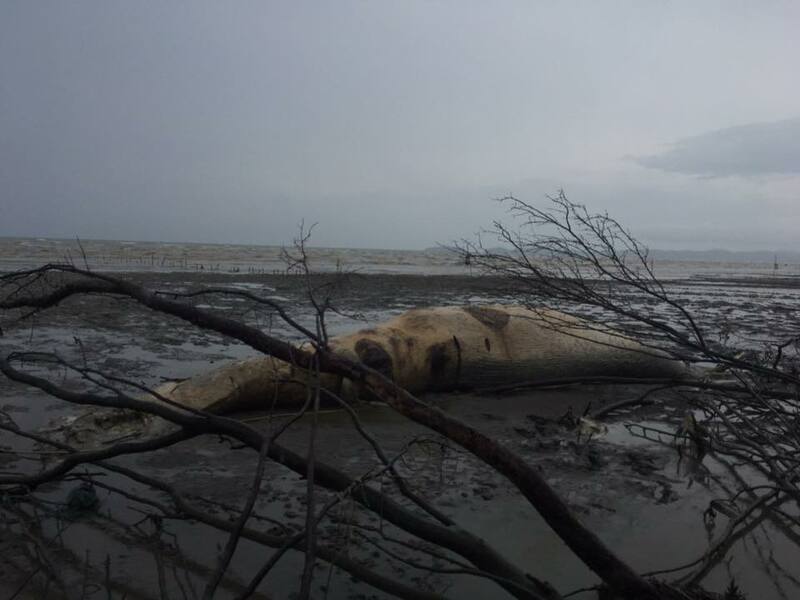 When we were informed with the information of the stranding, we thought it would be another attempt to saving their lives. Which we were all prepared for if the mission was not accomplished. That was not the case. 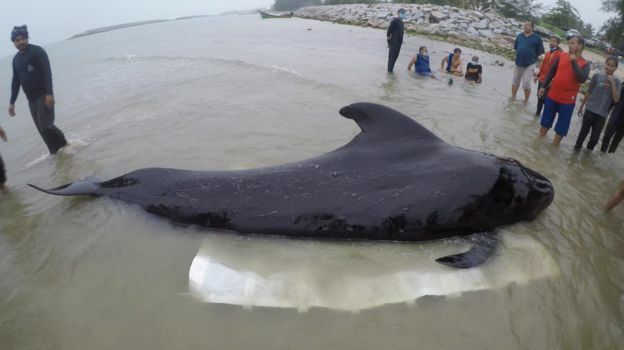 The seizure, the struggle, the fight for life, and the revelation of the cause of death from the inside of the Shortfined Pilot Whale has dealt a great deal of pain to all of us emotionally. 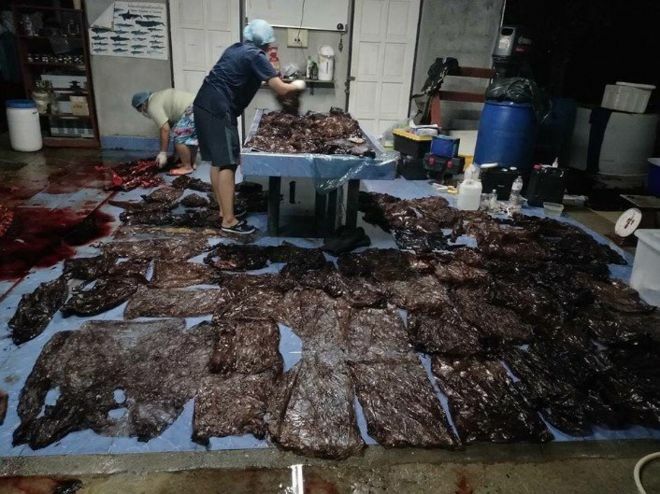 8 kg of Plastic bags, over 80 pieces, none of them were decomposed, were filled up tightly along the Whale’s intestine and stomach. An unforgettable picture. 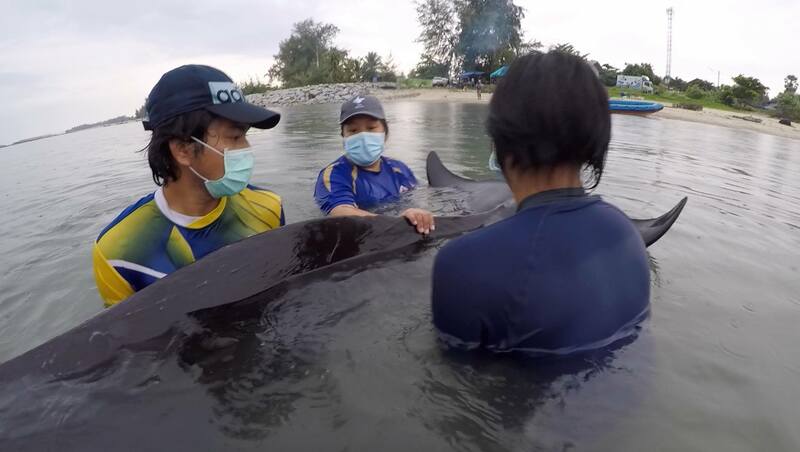 Department of Marine and Coastal Resource’s Veterinary and ThaiWhales started our new year by dragging in whale’s corpse to the shore from shells site at Bangkeaw, Samutsongkram to disect and identify for science. 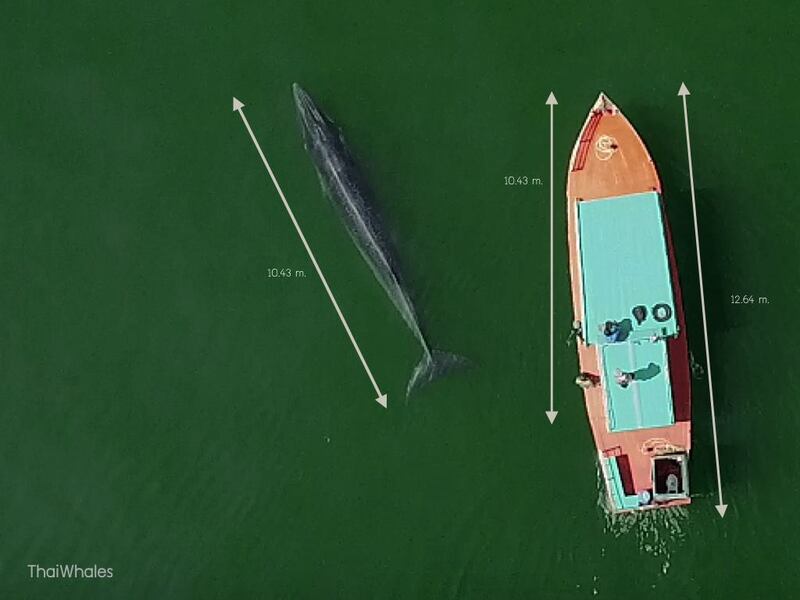 Drones give us the access to the skyview at ease (distubing the whales is never an option) We treat it as a powerful tool to survey the whale’s populations and approximately measuring whale’s size by comparing the size of the boat to them. 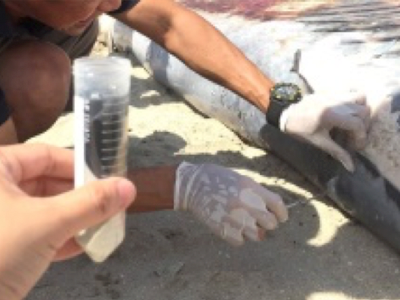 Identifying and measuring the whales is a continuous process that requires followups. 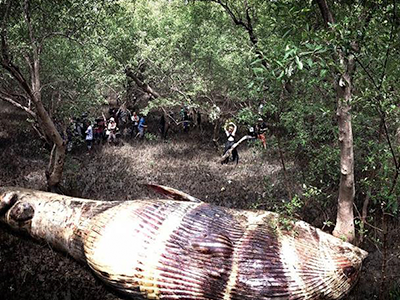 Stranded whale’s corpse at Chantaburi Province. 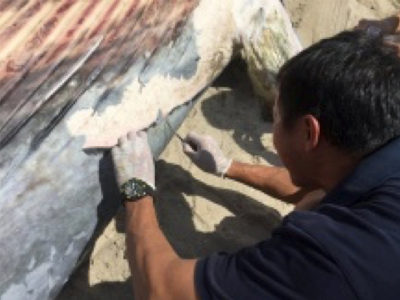 Once again we got the chance to survey and dissecting whale’s corpse, the Veterinary and their process has taught us that the Bryde’s Whale is very different from other types of Baleen Whales even though their appearance is very similar. 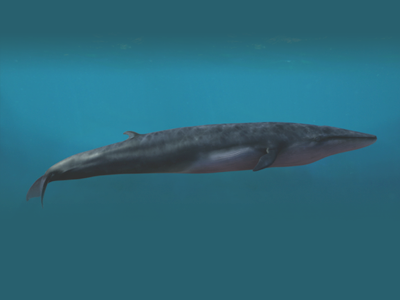 When dissecting, the Bryde’s Whales first piece of the ribs has a splitting bone while other types of Baleen whales has a single type. 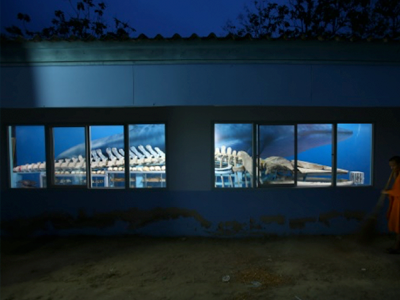 The second term of ‘Whale’s Classroom,’ ran in the theme of “Whales = Humans” We gave it everything we’ve got for this exhibition, many helps from friends, both familiar with us and even from those that aren’t familiar with us. The exhibition was very successful, impressing for both the visitors and the people who arranged the Exhibition. 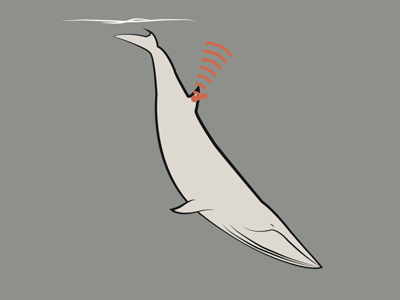 ’ThaiWhales Game’ The world’s first Bryde’s Whale game on mobile phones. 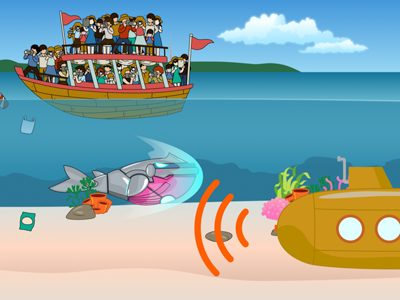 A very challenging task for our ThaiWhale IT team, because it’s not just any regular game, it’s a game that involves learning the behavior of Bryde’s Whales and many more elements of the oceans that will be placed as the background of the game. 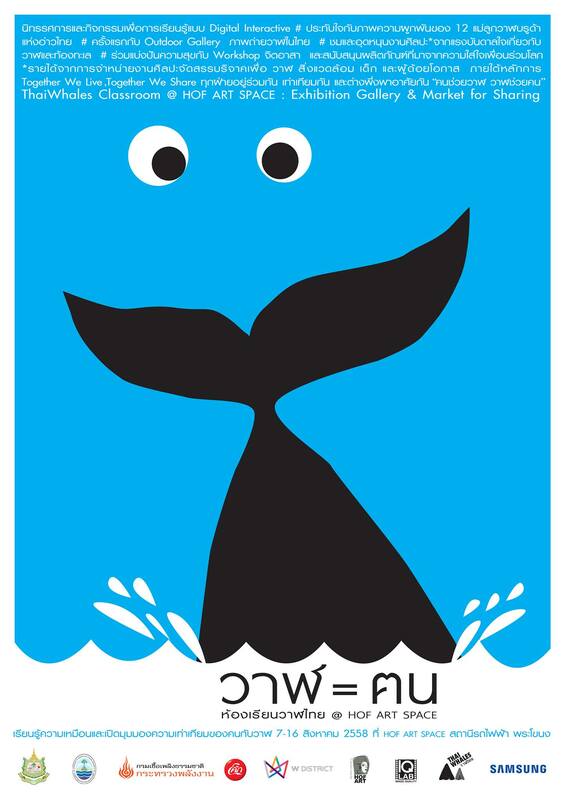 In the end, we have managed to create the ThaiWhales game V.1 in both English and Thai for the children and education reinforcement. 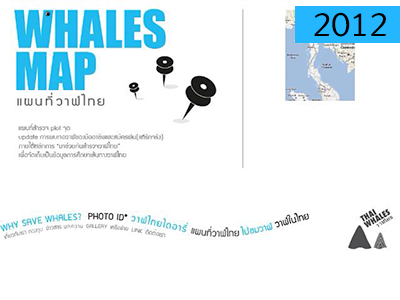 We try to create a network of Whales Survey, it’s our very first task since ThaiWhales was founded. 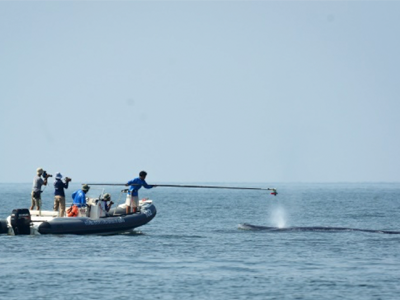 We start with a system in our website that allows people to alert us when whales are spotted, both alive and stranded . Later on we develop mobile phone applications (back then mobile apps aren’t very popular.) Finally, we have collected knowledge, technology, information, and most importantly, friends that eventually leads us to the process of Photo ID that highly benefits the environment as a whole and has high values. 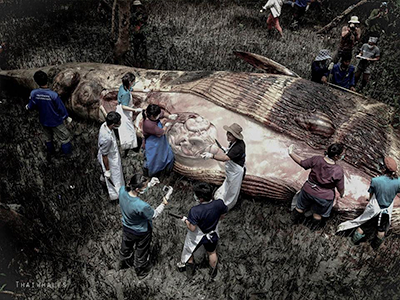 This Whale dissection was one of the most talked-about in the Thai history. 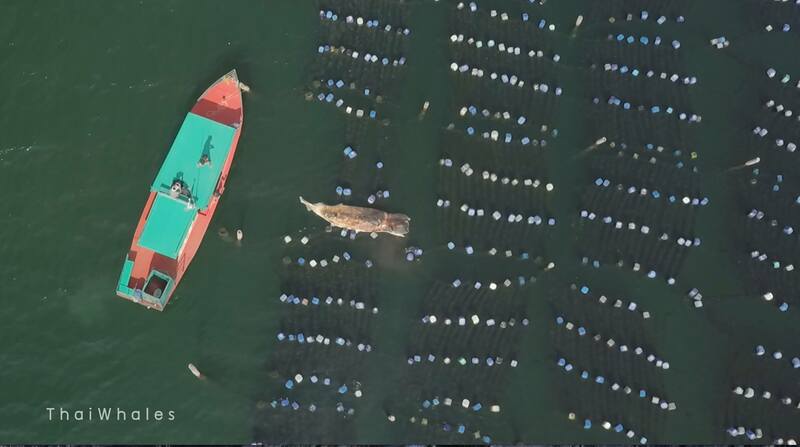 Due to the massive size of the Whale stranded on a popular site and Whale Watching was very popular at that time. 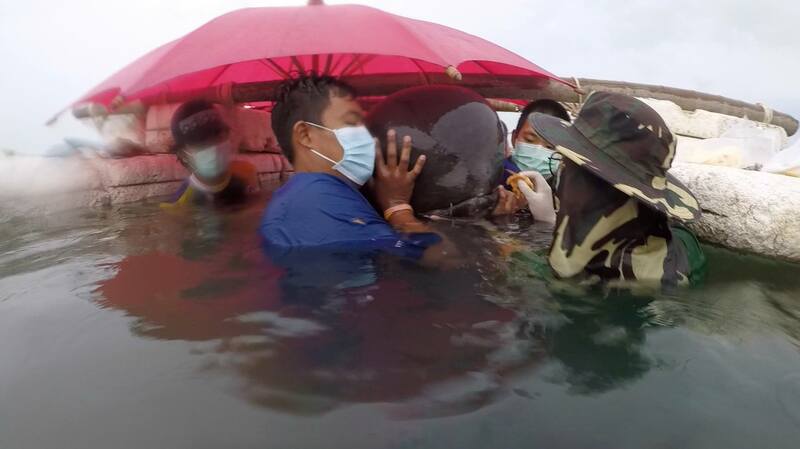 Every major news network in Thailand has a scoop on the situation, gaining a massive attention from the people. 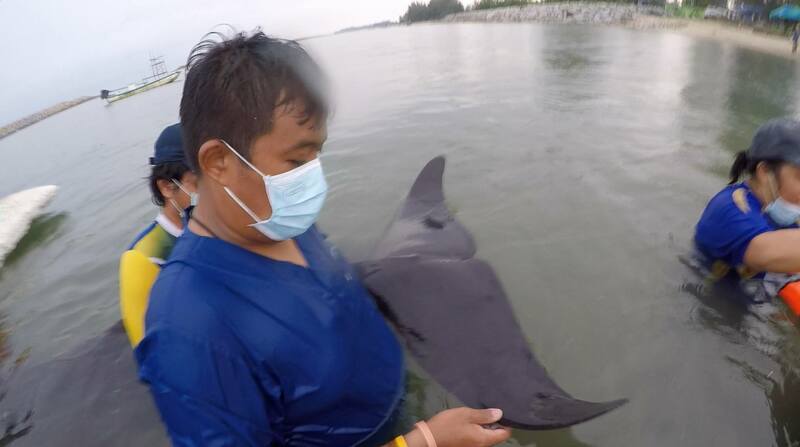 For us ThaiWhales, this was one of the most important study for us, we were given the opportunity to witness every single process in dissecting Whales and also this was the last time that we get to see one of the most skilled Whales, Dolphin expert in Thailand at work, Senior Scientist, Kanjana Adulyanukosol. 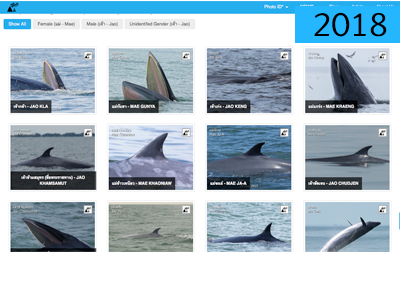 4 Years of tagging and documenting varieties of Whales with tracking devices. From a basic type to advance type of device (Both in terms of technology and price.) in 2013. 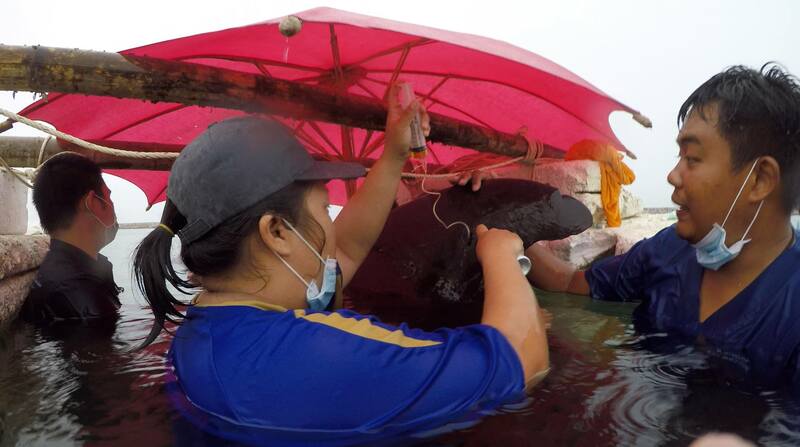 Satellite Tagging for the first time in Thai history. 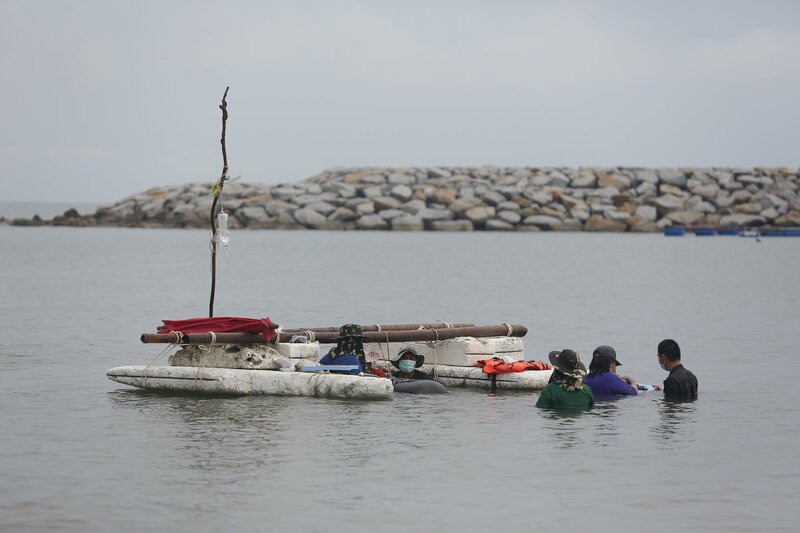 Every person in each department were very excited, it was one of the biggest learning curve for us, proving to us that we can overcome many obstacles by being determined and working together. 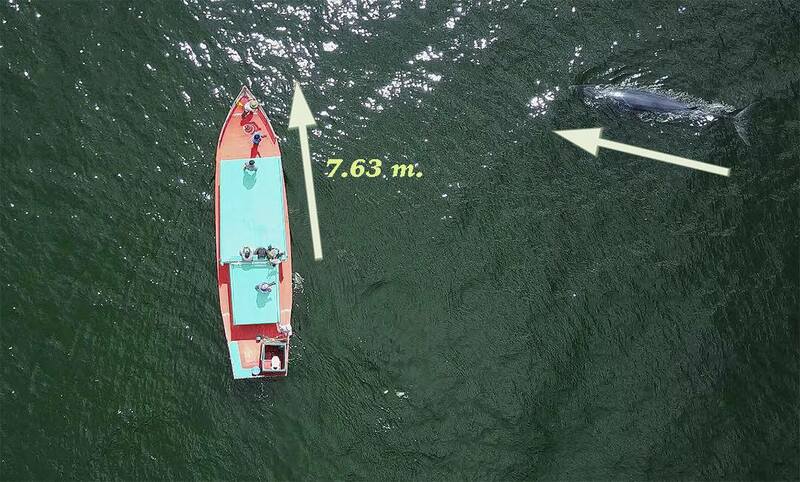 This Real-Life-Sized Whale poster is a monument of challenge that we have overcome. It was the very first time that we have an exhibition. 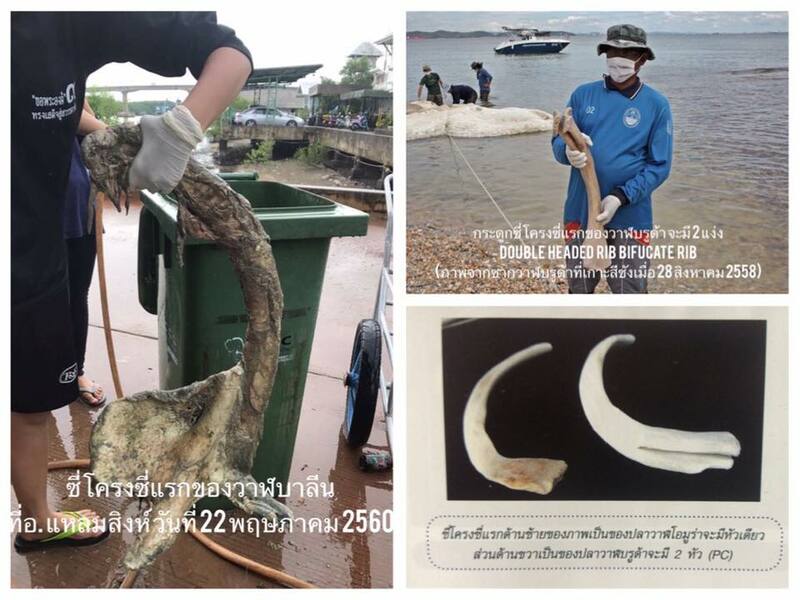 Bringing a Whale-sized poster there to exhibit at Wat Hat Chao Samran was not easy, we decided to bring it there because it’s a place that already contains exhibit whale skeleton. A well respected place in Thai’s culture. 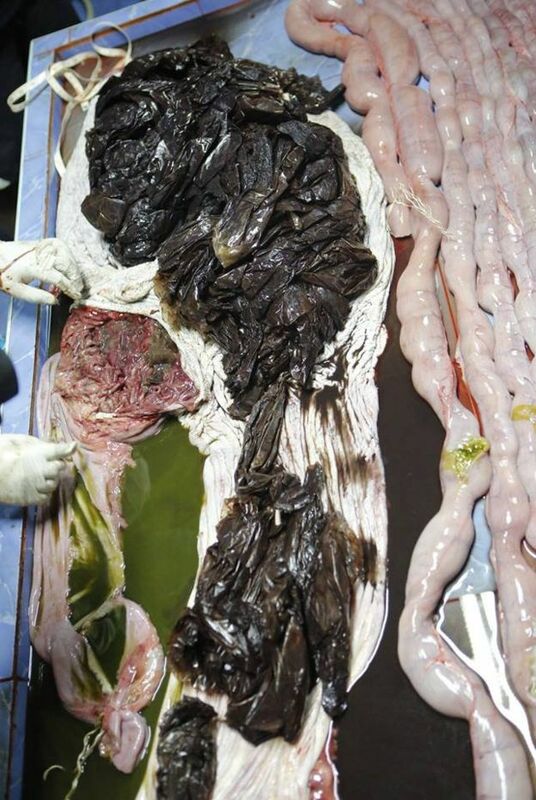 We question ourselves, ‘will the children find this interesting? 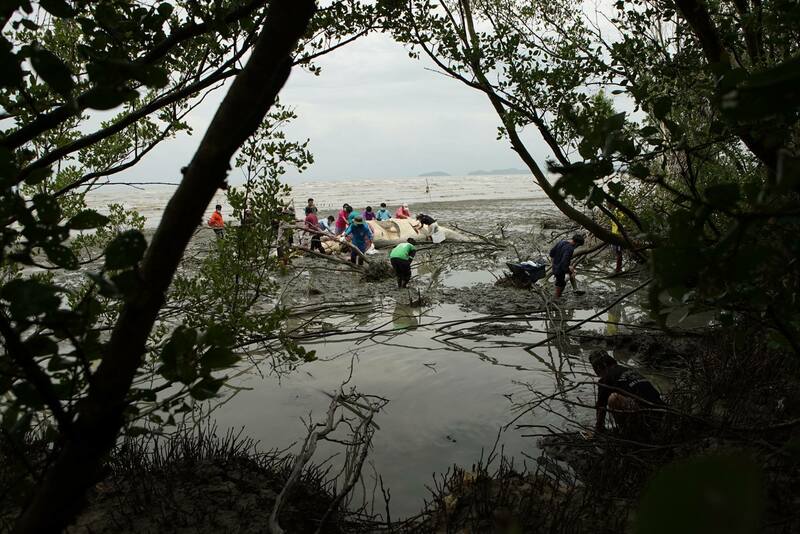 Is this good enough?’ We approach the task without knowing much, along with MCRC (Department of Marine and Coastal Resources)., which we weren’t very close to back then. 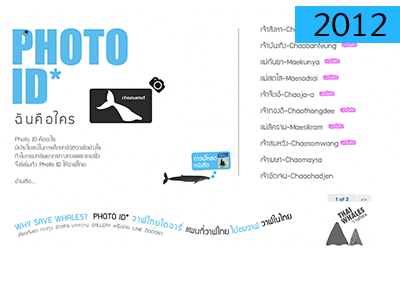 The result was entertaining and we were very proud of it, this was the first step for ThaiWhales group.